We bring the oven to you! Our authentic, Italian wood-fired stone oven sits within our mobile kitchen. The 20’ by 8’ unit is trailered to just about any location It can be placed in the front yard, back yard, driveway, corporate lot, park settings and more. 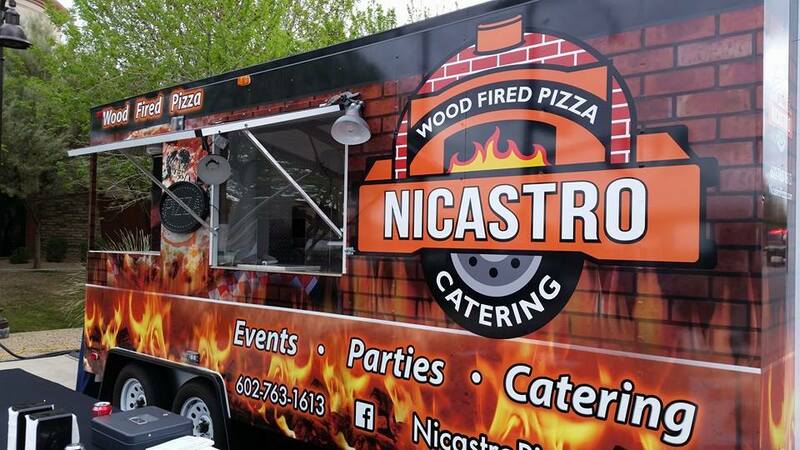 Nicastro Wood Fired Pizza Catering is a wood fired catering kitchen on wheels whose brick oven is on a never ending tour to make sure every dinner party and company lunch has access to hand-crafted pizza. We use old-world methods and local ingredients to create traditional Italian-style pizza in our own traveling wood-fired oven! 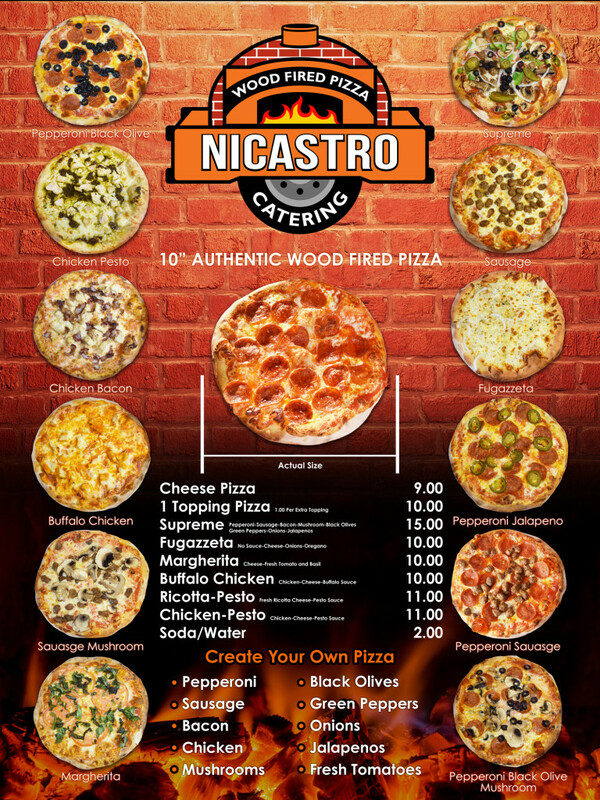 Top quality ingredients are the basic elements of Nicastro cooking and this is especially true for pizza where every bite counts. From the long fermented dough, to the creamy Grande mozzarella and the olive oil, we believe each component of everything we eat should be delicious on its own. The ingredients are all fresh and simple with maximum flavors and minimal cooking. Simplicity is the governing rule. A wood fired pizza party is a fun, unique alternative! We Provide Private Pizza Parties and Catering. Whether your plans are for a fun, backyard party for 30 friends and family; a Wine Club party for 75 serving flavors that compliment a particular wine; or a wedding for 150 guests, our wood fired ovens can provide a versatile menu that suits your needs. Sharing our passion for italian savor! Call us and make your reservation. Let us to fired up your next event!! !